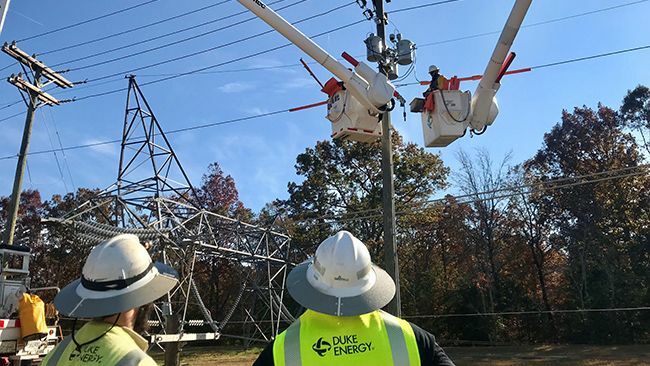 GREENVILLE, S.C., November 20, 2018 /3BL Media/ -- Duke Energy is partnering with the S.C. Technical College System to invest $1 million in grants to expand training opportunities for much-needed utility lineworkers across the state. The company will need this highly-skilled workforce as it builds a smart, secure and flexible electric infrastructure to better serve customers and keep South Carolinacompetitive now and in the years ahead. "We are transforming the energy grid – making strategic, data-driven investments to improve reliability, use more solar and clean energy and provide customers with the intelligent information they need to make better energy choices and save money," said Kodwo Ghartey-Tagoe, Duke Energy's South Carolina state president. "These investments will reap benefits both immediately and in the years to come, but we must increase the talent pipeline for lineworkers here in South Carolinatoday to build the smart-thinking power grid of tomorrow."